Audi was looking to create energy around their partnership with the newly opened Whitney Museum in NYC’s Meatpacking District. 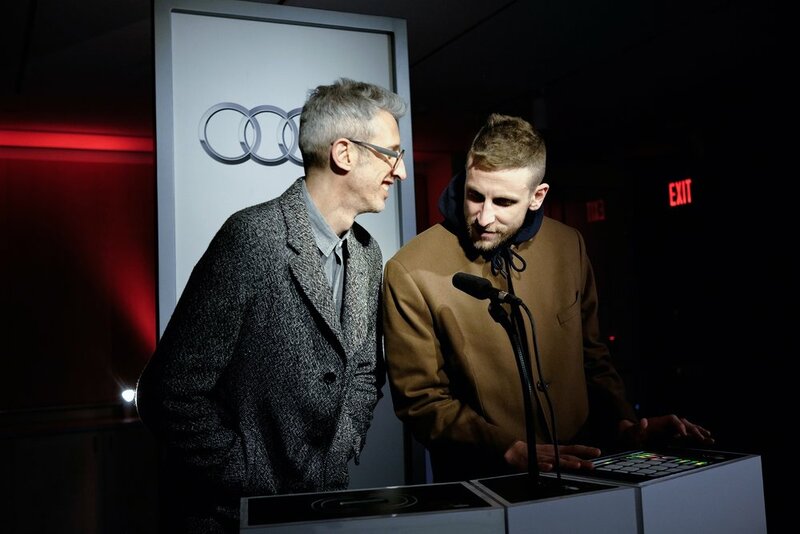 Invisible North was hired by PMK*BNC to create an activation that engaged the arts community and promoted Audi’s official partnership in a creative way. Animal Collective was commissioned to compose a series of tracks using the Audi Sound Library which we then used to create an immersive interactive installation that allowed users to remix the music with a wave of their hand. The experience was then captured in video format so guests could post their creations to social media. We were hired by PMK*BNC to create an activation that engaged the arts community and promoted Audi’s official partnership in a creative way.